I’ve been overly blessed in my life. That’s a pretty obnoxious thing to admit, I know, but it’s true. 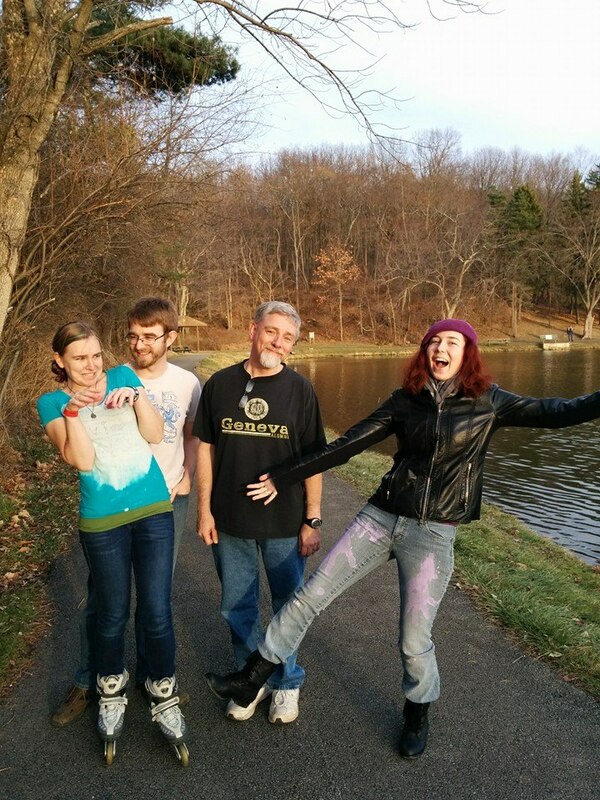 I was born with probably one of the coolest dad’s ever and then, if that weren’t enough, I married a guy who has another really cool dad and made him mine as well. So I have two really cool dads to write about for this up coming father’s day. And, just like with mother’s day, in honor of the holiday, I don’t feel bad about showing off how cool my dads are to all of the internet. 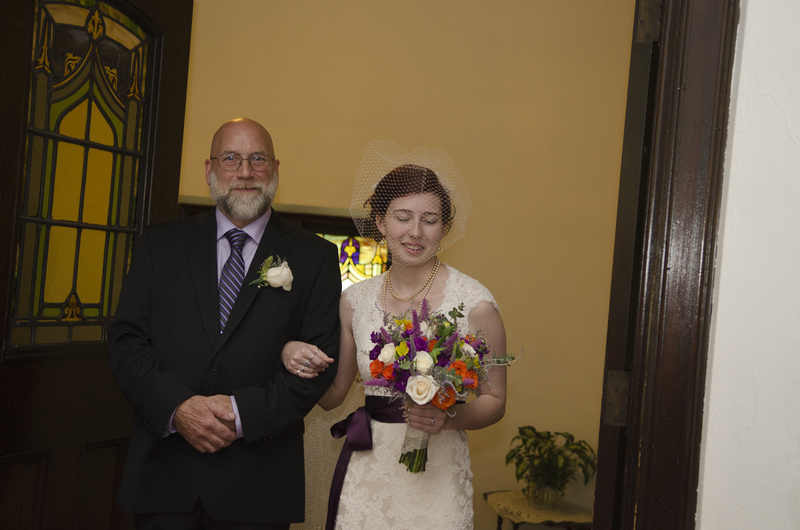 My dad looks great and of course my eyes are closed. This is my dad; my dad is amazing. He raises chickens and is rumored to fight crime with them at night. He chops his own wood, grows a garden of fruits and vegetables and sings Veggie Tales with the best of them. I’m convinced that he can fix just about anything. He does crossword puzzles in the paper for fun and is a big fan of sitcoms like Seinfeld and The Big Bag Theory. He also really likes birds. He often takes pictures of them in the bush by their house, but he doesn’t technology, so he has to wait for one of us kids to put them on the computer so he can see them. We’ve had a complicated history, mostly due to the fact that at some point I had to be a teenager, as is required by law, and that always screws with things a little. It took me a long time to figure out that the way my friends’ dads showed love and affection was not the way my dad did it and that his way was no less loving and affectionate than their way. Once I figured that out, it became vary clear to me that my dad was, in fact, the best. This is us before he gave me away at my wedding. My wedding is actually the perfect embodiment of his love for me. He wouldn’t give us a budget, saying whatever it cost, he would cover it, even if he had to take out a loan to do it. I wasn’t going to let him do that, of course, and if I could cut expenses I was going to do it, but still, the sentiment was clear: no cost was too great to see me happy. Anything he could do to make my day perfect, he was going to do. That is how he shows his love; by making things happen. When I went to college, he found me a car and he kept it running for a year and a half, even though it was a 1994 Buick century that I promptly crashed and he brought back to life so I could keep driving it. If I hadn’t been so attached to the car, I think he might have just scraped it, but I loved the car so much already that he probably spent more money than necessary fixing it so I could keep driving the steel heat trap for another year until it died of natural causes. My dad worked everything out so that I came out of college with about half as much debt as some of my classmates. When I wanted to live on campus for a year, he encouraged me to go for it, saying, we’ll get another loan and it’ll be fine. That’s his catch phrase, by the way: “It’ll be fine.” It’s one that I’ve adopted in my own life. No matter what happens, everything will work out, one way or another. It’ll be fine. What he meant by that, in this case, was somehow he would magically cover my room and board so that I didn’t have to worry about it. I don’t know how he did it, and of course he would only say “I took care of it,” but he did it and I am so thankful for it. Fun story: FedEx is obnoxious. That’s not the story, just a fact. My junior year of college I dropped my phone in a cup of tea and had to get a new one sent to my house. I was in class, naturally, when the guy was supposed to come drop it off, so my brother was in charge of signing for it when it came. He was there, but the FedEx guy decided instead of knocking like a normal human, he would just leave a note on the door and drive away. I had to wait until Monday for them to try again and this time my dad was home, lights on throughout the house, both doors wide open, there was no mistake that someone was home. FedEx guy again puts a note on the door and tries to drive away, but my dad hears him get into his truck. Dad, being a super hero in his spare time, chases the FedEx guy down the road to get my phone. That is how manly my dad is, and that is how much he loves me. 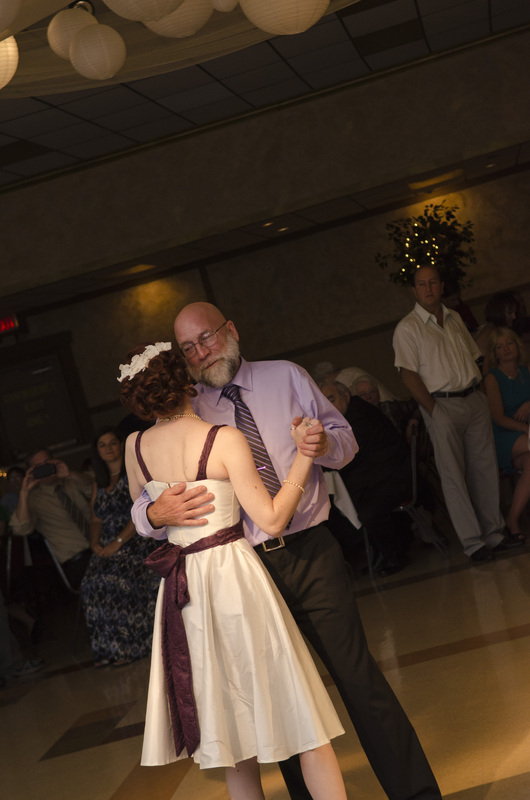 As if I needed more proof of my father’s love for me, as we danced at my wedding he told me he didn’t know why I had picked “Rainbow Connection” sung by Kermit the Frog for our dance, because it was too short. He wanted that moment to last forever. He cried on the way to my wedding, and I cried with my sister when I heard about it. I never thought I would see my dad cry. For a long time we thought he just didn’t love us, it turns out, he’s just really sneaky about it. I have gotten so much from my dad. He was the one who taught me how to ride my back, and throw a baseball, and took me fishing every summer as a kid. He was the one who taught me that things will work out just fine whether I worry about them or not. He’s the one who makes cookies with me every Christmas and taught me the art of the candy cane cookie; hardest of all the Christmas cookies to make. He taught me that actions speak louder than words, you just have to listens for them. That time spent with someone is the greatest gift you can give them. I may not have grown up with everything I wanted, but I had everything I needed, and more. He may not have been the greatest dad in the world, but he will always be my favorite dad. He puts up with us so well. When I got married, I got another dad. Well, okay, when I started dating my husband I got another dad. They adopted me pretty quickly into their family. My father-in-law is a Reformed Presbyterian pastor who enjoys Bing Crosby, 80’s music, comic books and old tv shows. If you play him a song from the 80’s he can probably tell you what it’s called and who it’s by and name half the band to boot. My husband has inherited part of this talent and it still impresses me every time. This is why we can’t ever play Classic Rock Trivial Pursuit with them. My father-in-law is great to talk to, which is something I missed out on growing up. My dad is much more of a do-er than a talker. If he can get through something with as little conversation as possible, he’ll do it. My father-in-law, on the other hand, is much better with chit-chat. He takes an interest in what we’re doing and asks questions where he doesn’t understand something or, maybe, just to give me an opening to ramble for a while. I talk much more than anyone else in their family. My father-in-law is engaging, patient and understand and I appreciate having him to talk to. One of the things I’m most thankful for is the way my father-in-law looks after us. When he knows something is wrong we get a call. He’s always right there, ready with a prayer and a comforting word. He texts us for updates and sometimes just to encourage us, and he always ends his texts with “love you.” I got a lot of non-verbal love growing up from my dad, so having the words spoken and texted to me regularly by my father-in-law is a wonderful new experience. It’s a wonderful feeling to hear, and know, without a doubt, that you are loved, without having to read between the lines. It was something I missed with my dad, but now I have with my father-in-law. I think it’s really awesome how God fills those gaps. My father-in-law is a great example of a Godly man, not just because he’s a pastor, but also because he’s just a strong Christian in general. He has a whole congregation to take care off, and yet he always makes sure to find time and energy to spend on us. He can turn off the pastor mode and still give good, God-centered advice when we need it. He is also an amazing husband, supporting his wife in all that they do. I love to watch the two of them interact because there’s so much love and respect between them. My husband looks up to him so much and I am so thankful that my husband has such an amazing example of what a Godly husband and father should look like. So those are my two super cool dads. I am so blessed to have a father who is always there, willing and able, to help me do whatever needs to get done, and a father who is always there with a prayer and advice when I need it. I am so thankful to have both of these men in my life and I can’t wait to spend father’s day with both of them! Bekah, what a beautiful tribute to both your “fathers”. Thank you for your presence in the Scavo family. Love both you and Logan.